To view our current inventory of high quality, premium grade, marine sextants, click here! Copyright 2014 by Land And Sea Collection. All Rights Resreved! We are the premier source for all versions of the Plath Navistar premium sextants and have specialized in their sale. We have sold more than any other dealer in the world! Twenty Three Sold to date. The pictures in this presentation are all of the actual instrument. Presented is a C. Plath Navistar Classic sextant, Serial No.63437, with an undated certificate which was often issued by the company, the Plath original Instruction Booklet and adjustment tool. The 4 x 40 scope which is mounted, though considered a "Star" scope, is the best choice for all around use. And the rare, for that time, C. Plath whole horizon mirror called "Transflex" was a $350.00 option in 1984. This style mirror has gained wide popularity since. This sextant served on a schooner sailing the North & South Pacific for eight years, and then spent the remaining time in dry storage since it was purchased 33 years ago. Our tests show that it is still in outstanding condition and rates 5 Stars. The sextant was used as a back-up to what was then the early days of satellite navigation, the less able predecessor to GPS. SatNav was first introduced for commercial use in the early 1980's. Back then, there were only six satellites in space so the fix interval could be quite long, averaging 12-14 hours between them. Because of this time delay and because the coverage was intermittent in the North & South Pacific, the former owner used celestial navigation as a primary and back-up. However, the condition of this sextant is so perfect that it belies the fact that it was used at all. 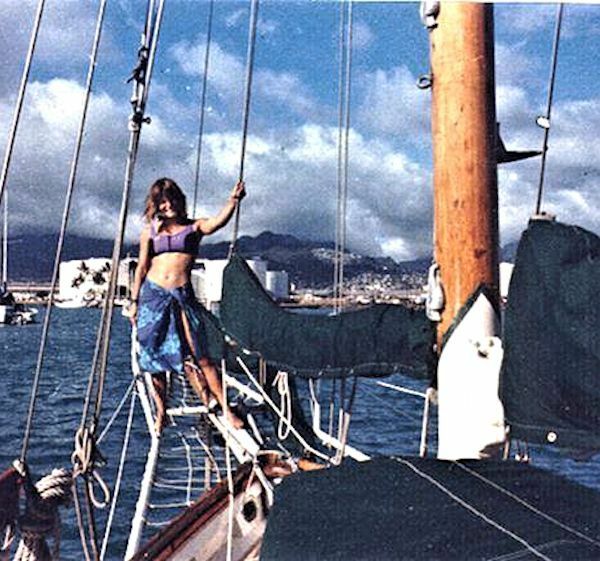 SAILING THE DREAM: The former owner bought it in mid 1984 after he and his wife met and decided they'd sail the world to form a more perfect union. 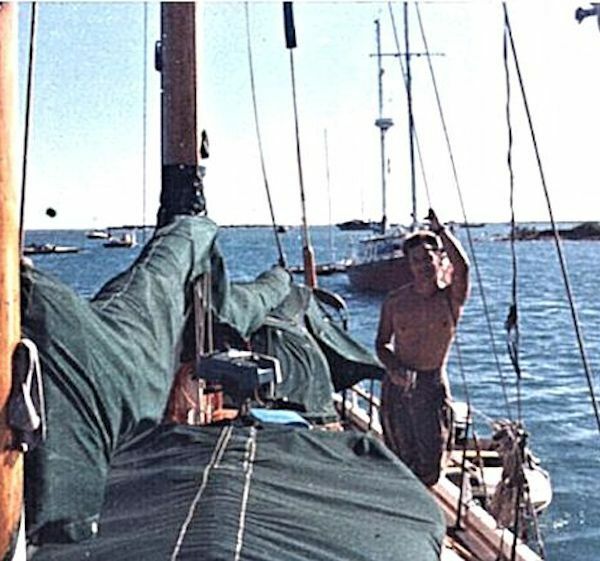 In 1989, they embarked on a cross Pacific cruise from San Francisco Bay to New Zealand aboard their 50' coastal auxiliary stay sail schooner THALES. 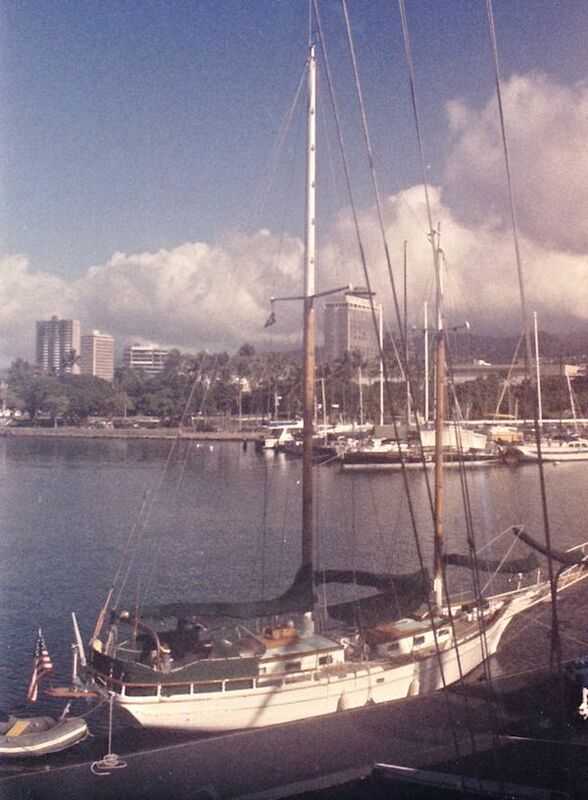 On the way, the schooner was used as backdrop in the movie 'And the Sea Will Tell', while they were in Ala Moana Honolulu. The sextant got used on that trip as it was the early days of SatNav, which only worked on and off in the North Pacific and hardly at all in the South Pacific. Altogether, they lived and sailed in THALES for 8 years of magic. They made it to Fiji before the wife's pregnancy required that they sell THALES to a local Fijian couple who continue using her for their photo tourism business sailing in the islands. Since their family is now grown, and they have bought another yacht ARIANNA, at http://www.SailCyclades.com, in which they intend to continue their adventures. This time from Greece they'll make their way across the Med up to UK and then up the Irish sea to Scotland and the Outer Hebrides, then through the Kiel canal and join the ARC Baltic cruise to Tallinn, St Petersburg, Helsinki, Stockholm and back to Denmark. Then down to the Canaries and across to Florida and Yucatan for the winter of 2015. Since GPS is so universally effective, he wants the sextant to find a new honored position with someone who will appreciate and treasure it. Back of sextant with 4 x 40 scope mounted. The Navistar Classic was the top of the Plath line and was made in limited quantities, and was manufactured with a guaranteed non-adjustable instrument error of 10 arc seconds or less. It sold for a premium over all its other sextants. For example, almost 30 years ago, they sold for over $1000.00, and as recently as 2001, the price had risen to $4000.00. In our opinion, there is no sextant in current production that achieves this level of quality. CONDITION: Without exception, there is little fault to find with the sextant . 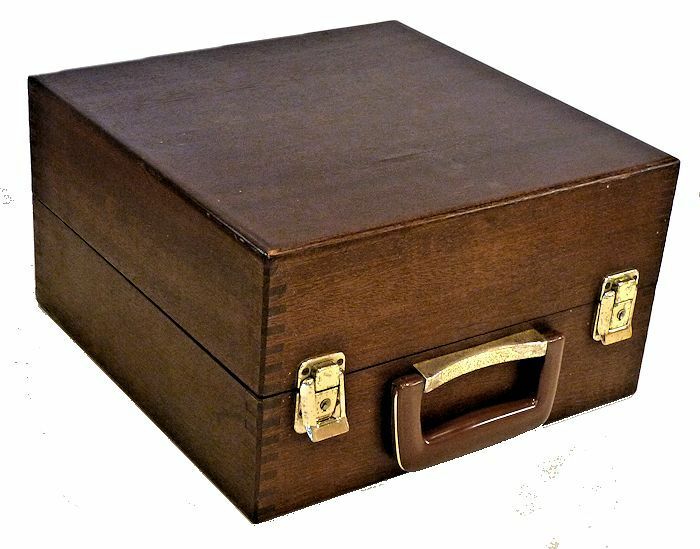 The case's dark brown exterior shows some loss of color on the top and some of the usual marks of age and use that you would expect. There is one tiny split in the veneer in the lower center which should be monitored. The exterior hardware shows some slight discoloration. The index mirror adjustment is frozen, but there is no need to use it. These things are all minor and only mentioned for the sake of thoroughness. The lighting works and the index error is 1 minute on the arc with no side error. WHAT IS A NAVISTAR CLASSIC: There are some sellers, either through ignorance or on purpose, call some Plath sextants by this name or claim they were made to the same standards or were the predecessor of this instrument. Don't confuse this model with the similarly named Navistar Professional which. in our opinion, is the worst sextant made by Plath, or the Navistar Traditional which was made shortly before sextant production ended. That instrument has an error up to 20 arc seconds. For the seven year period from 1978 through 1985, only 1693 Navistar Classics were made. That is only 211 per year to satisfy worldwide demand. STAR RANKING: Taking the minor evidence of use into account and its years of service at sea, it easily earns a 5 Plus Stars ranking. This is the 23nd Navistar we've offered. In our opinion, they are the finest of the contemporary sextants. They will be equally desirable at sea or in a collection of only the best, and should only appreciate in value. This C. Plath Navistar Classic requires someone who can appreciate the fine points of a sextant, and is willing to pay an appropriate price for this level of quality and excellence. It is suitable for a collector or for use at sea. C. PLATH COMPANY HISTORY: In brief, Carl Plath started manufacturing sextants, in addition to other nautical products, in Hamburg Germany in 1862 though the purchase of the David Filby instrument company though the company's origin dates back to 1837. As a result WW II, C.Plath was dismantled completely by the occupation forces. Around 1950, various prohibitions were lifted, and C. Plath was allowed to begin production again of sextants and other nautical instruments. Also in 1949,C.Plath was offered a gyrocompass patent and in 1951 the first gyrocompass designed to this patent was presented to the public. 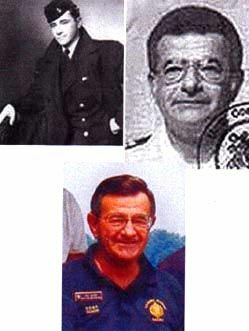 C.Plath progressed from the role of instrument maker to that of a modern marine navigation equipment manufacturer. In the following years the product range was expanded by many more modern designs such as autopilots, speed logs, radio direction finders, etc. "Transflex" Whole Horizon Mirror: 57mm diameter. This is the 24th Navistar Classic or one of its variations that we have offered since 2005. In our opinion, they are the finest of the contemporary sextants. They will be equally desirable at sea or in a collection of only the finest. Copyright 2016 - 2014 by Land And Sea Collection. All Rights Resreved! Presented is a C. Plath Navistar Classic sextant, Serial No.63437, with an undated certificate which was often issued by the company, the Plath original Instruction Booklet and adjustment tool. The 4 x 40 scope which is mounted, though considered a "Star" scope, is the best choice for all around use. And the rare, for that time, C. Plath whole horizon mirror called "Transflex" was a $350.00 option in 1984. This style mirror has gained wide popularity since. An optional C. Plath, near new, 6 x 30 monocular is available.